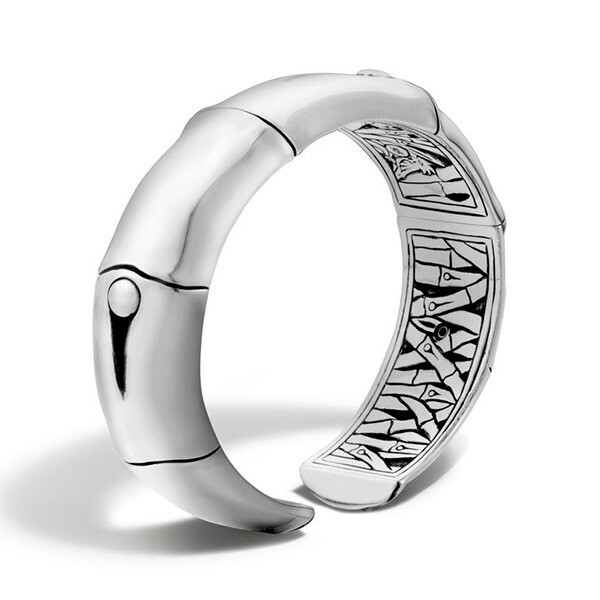 This beautiful piece is from John Hardy's Bamboo collection. 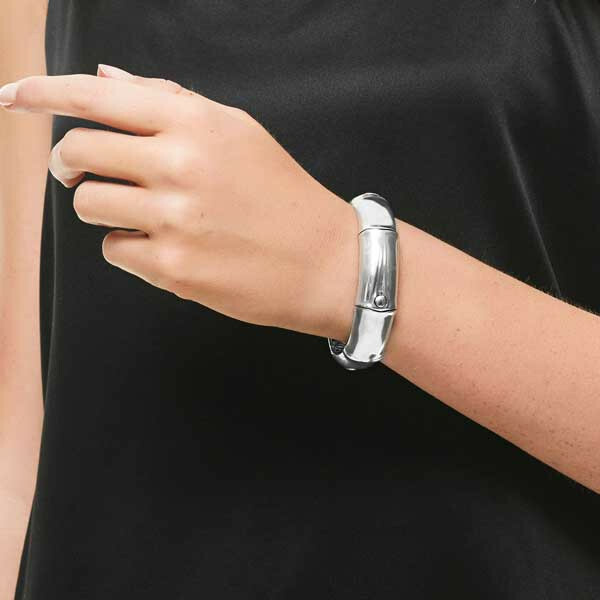 Wide bamboo segments are hand carved into sterling silver to form this kick cuff. Because it's chunky, this John Hardy bracelet can stand alone, or you can pair it with other pieces if you want a flair for the dramatic! 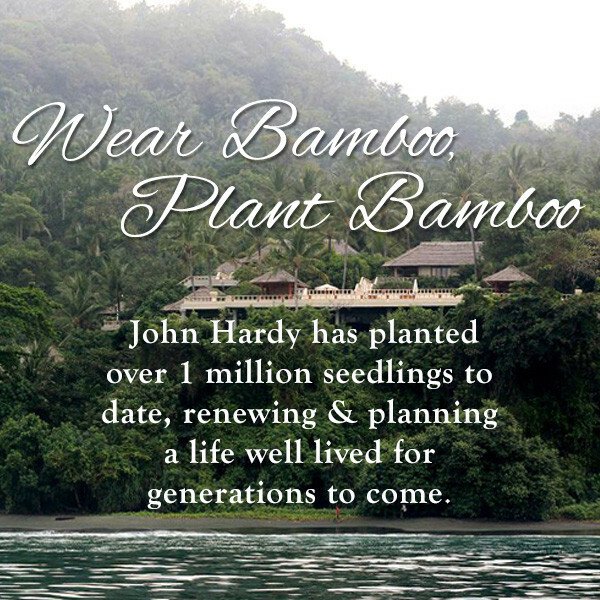 Four bamboo seedlings are planted with the purchase of this John Hardy bracelet.